Royal Bank of Canada is Canada’s largest bank, and one of the largest banks in the world, based on market capitalization. We are one of North America’s leading diversified financial services companies, and provide personal and commercial banking, wealth management, insurance, investor services and capital markets products and services on a global basis. We have approximately 81,000 full- and part-time employees who serve more than 16 million personal, business, public sector and institutional clients through offices in Canada, the U.S. and 35 other countries. 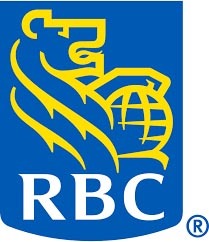 For more information, please visit www.rbc.com. An initiative of the Caisse de dépôt et placement du Québec, Espace CDPQ is an investment and development hub uniting partners and collaborators around the same ambition: accelerate the growth and globalization of Québec SMEs. Its goal is to combine the networks, expertise and financial means of the 15 partners in residence at Espace CDPQ to benefit Québec companies. Together, the partners, which include investment firms and organizations specializing in business development and support, represent a network of more than 1,100 businesses of all sizes and from all sectors that offers bridges into over 170 countries. For more information, visit espacecdpq.com, follow us on Twitter @espacecdpq or consult our Facebook or LinkedIn.